Hurricanes and other major storms can be one of the most destructive forces in nature. 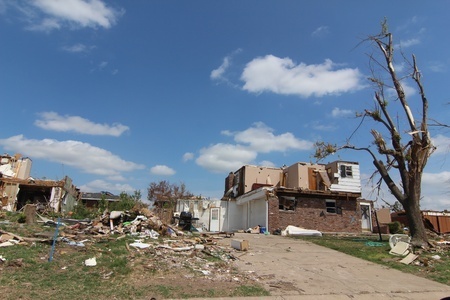 The forces generated by these storms can destroy your home, your business, and even your personal property. The sudden and devastating loss of your property can be a traumatic and overwhelming experience. The first step before a major weather event is to confirm that your homeowner’s insurance policy is in full force and effect. However, even with the peace of mind knowing that you have paid your premiums and have insurance in place, after a loss, your insurance company may still try to find a way to pay as little as possible for the damage caused to your property. In some cases, they may try to get out of paying at all. Hurricanes and other major weather systems typically carry high winds and heavy rain. It is typical after a violent weather system to see tree branches littering the streets and your lawn, power lines down and even uprooted trees. After severe weather conditions, you might expect damage to your home including downed gutters, roof damage, water damage and flooding. In order to expedite the claims process and verify what types of repairs are covered and whether you carry any deductibles, it is important for you to review your homeowner’s insurance policy. As soon as it is safe to do so after a hurricane, it is important that you report your damage claim to your homeowner’s insurance company. Take as many photos as necessary to document the damage. Having photos of the damage is often crucial in being able to prove your losses to the insurance company. When your insurance company treats you unfairly, it is assuring to know that there is legal help to enforce your rights under your homeowners policy. Contact us now (813) 991-5099 for help with your homeowner’s insurance claim. We will give you a complementary, no obligation consultation. If we accept your case we will help you get justice and recover the money you deserve for your losses.